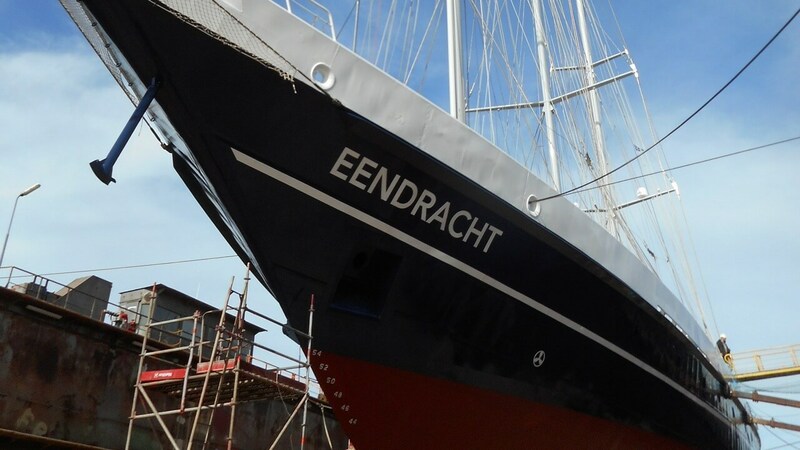 On 11 October 2018 the sail training vessel Eendracht departed Damen Shiprepair Rotterdam (DSR) following a two-week routine docking and maintenance programme. 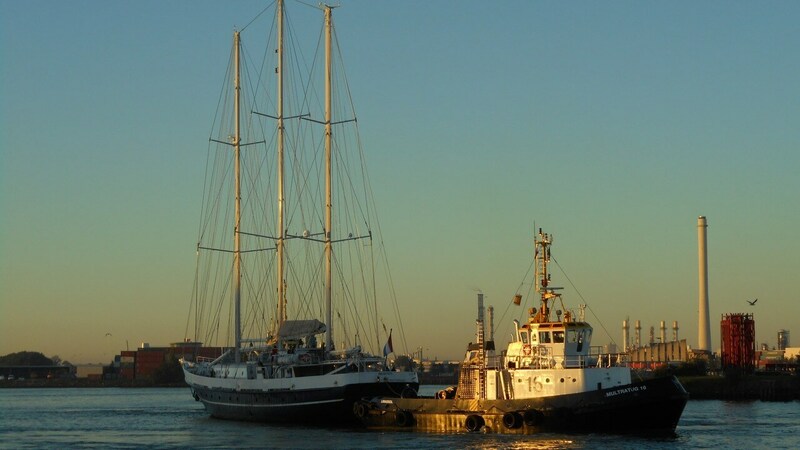 59 metres in length, she is the Netherlands’ largest three-masted schooner. 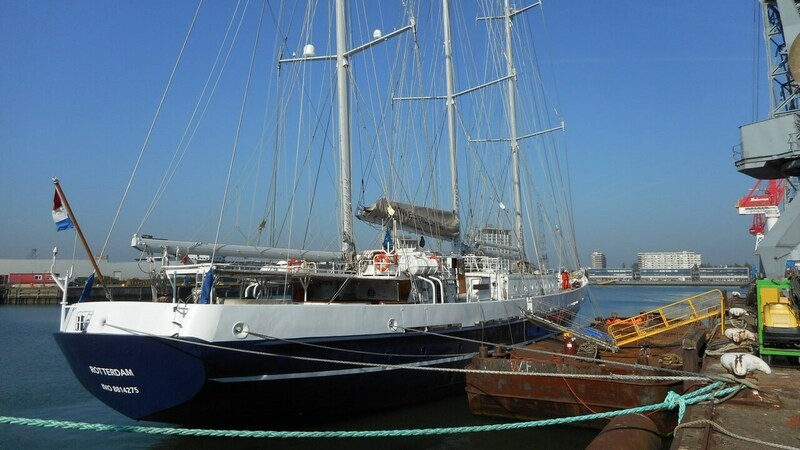 Mostly crewed by volunteers, 16 at a time, on her voyages she gives up to 36 mostly young but also older inexperienced people the opportunity to sample the challenges of life at sea on a sailing ship. 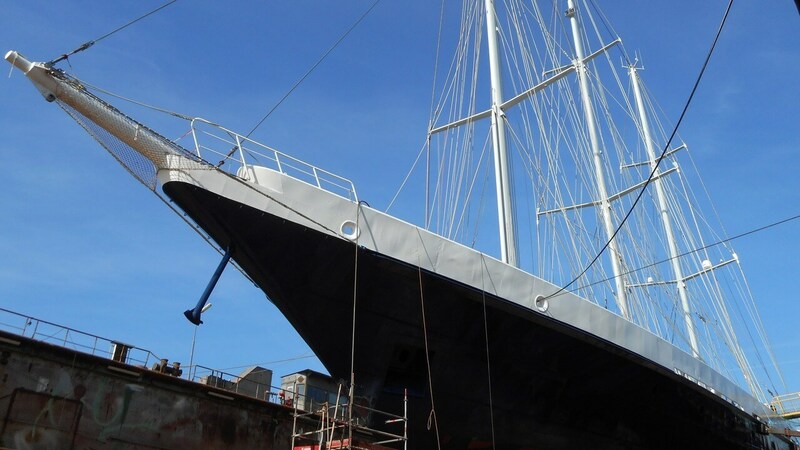 While at DSR, as well as having the special survey, her sixth, her hull was pressure washed and repainted, her overboard valves were overhauled and her tail shaft removed for inspection and reinserted. Some minor steel repairs were also undertaken. 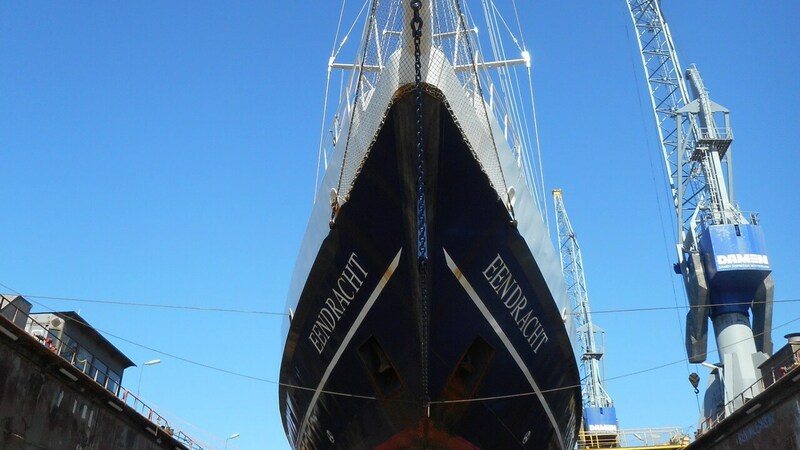 Eendracht and Damen go back together all the way with Damen building her at Gorinchem in 1989, and since then she has always been maintained by Van Brink Rotterdam, now part of DSR, with her most recent previous visit in 2015. The relationship has been a happy one. 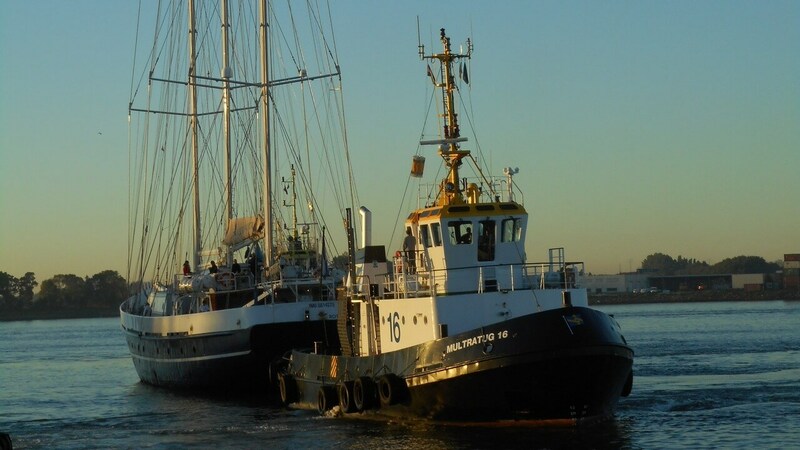 The gaff-rigged schooner is owned by the non-profit organisation (foundation) Het Zeilend Zeeschip and so budgets are always tight, but the yard always gives 100% to this iconic vessel and communications between the two teams are excellent. 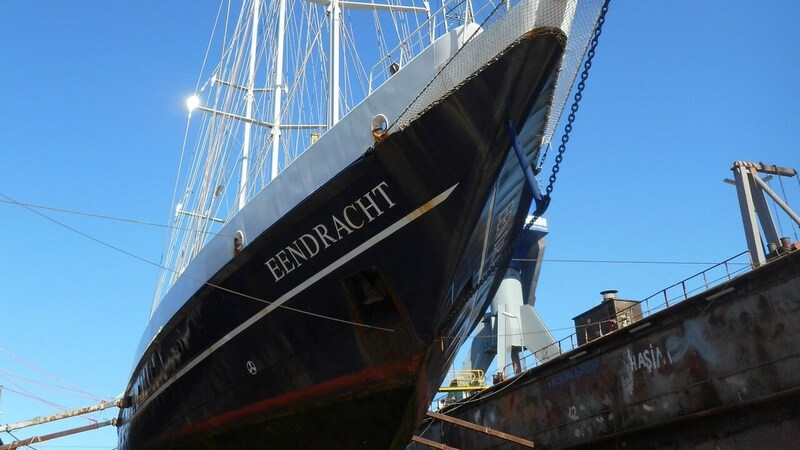 A familiar sight on the Tall Ships circuit, the Eendracht maintains a busy schedule with a range that includes the Mediterranean, Baltic and Caribbean seas as well as the North Atlantic and more local waters. Following her stay at DSR, her next long-distance excursion is a two-week trip to the Canary Islands.